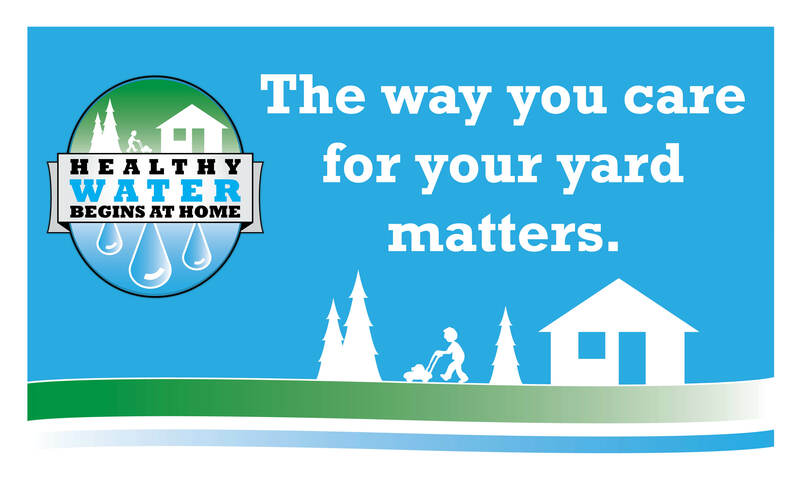 Lawn care products can help your lawn and garden look great, but these products can also harm our water if homeowners don’t use and dispose of them properly. Using lawn products incorrectly can damage the environment and cause dangerous chemicals to enter Oregon’s streams and rivers. Follow these three steps for wise use of lawn and garden chemicals, including fertilizers, pesticides, and herbicides. EcoBiz-certified landscaping firms are already aware of these best practices. Look for them here. Or ask your existing landscapers to follow these steps, too. Buy the right product, and only the amount you need. Consider alternatives, especially alternatives to pesticides. Pesticides are commonly detected in Oregon streams, and may endanger future generations. Metro’s Grow Smart, Grow Safe ranks more than 1,000 pest controls and fertilizers from lowest to highest hazard for people, pets and the planet. This consumer guide is also packed with expert tips for the most effective, least toxic lawn and garden care. Click here for the Grow Smart Grow Safe guide that include recipes to make your own natural lawn products that are safe and effective against common garden pests. Grab spray bottles for garlic repellant and insecticidal soap from third floor City Hall (recipes included). Transform your yard into a native plant haven. Check out these KOIN Videos: Controlling invasive plants, Creating a wildlife friendly yard and Making your yard rain ready. Attend a natural gardening workshop. East Multnomah SWCD and the Clackamas Master Gardeners offer free classes to help you grow healthier plants while reducing the use of chemicals in your garden. Click here for details. Not ready to give up on your lawn yet? Check out the KOIN video on Fall lawn care or consult Seattle Public Utilities Natural Lawn Care brochure. Check out Metro's Tools for Living: Yard and Garden page for more resources, and a $5 coupon "off the good stuff". USE – Use only what you need. Apply only what your lawn and garden needs. Over application can kill beneficial soil microbes and insects. Read the label carefully, and follow directions exactly. By their nature, many pesticides may pose some risk to humans, animals. The pesticide label is your guide to using pesticides safely and effectively. Click here for help with understanding pesticide labels. Using lawn products incorrectly, especially pesticides, can harm water, the environment, and human health. DISPOSE – Not down the drain. If you have a small amount of excess chemical, apply to your yard and garden according to the label. Give leftover products to a neighbor. Bring products to a Metro neighborhood hazardous waste collection event. For an event near you, call Metro at (503) 234-3000 or click here. Bring products to a Metro hazardous waste facility. Metro operates two hazardous waste facilities that accept used pesticides and hazardous household chemicals. The facilities are located at 6161 NW 61st Ave., Portland, OR and 2001 Washington St., Oregon City, OR. Click here for details.